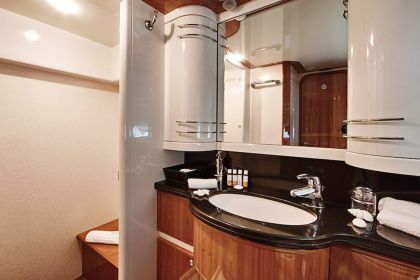 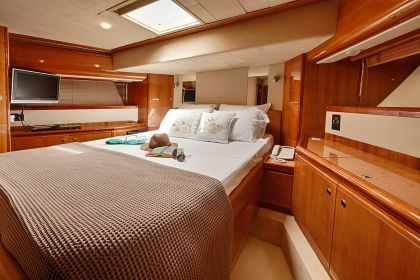 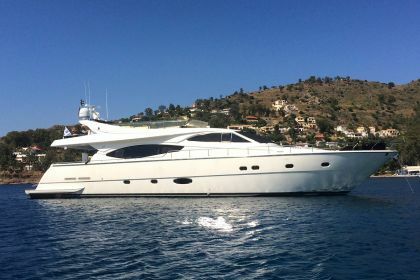 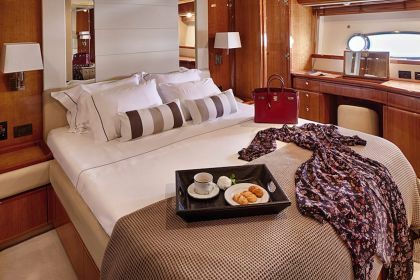 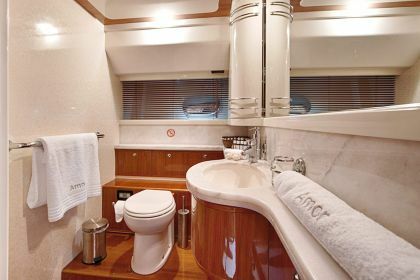 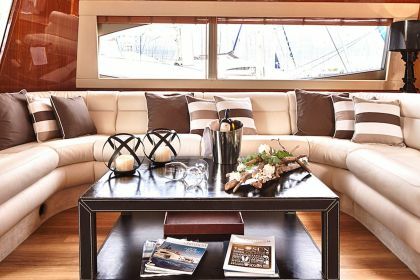 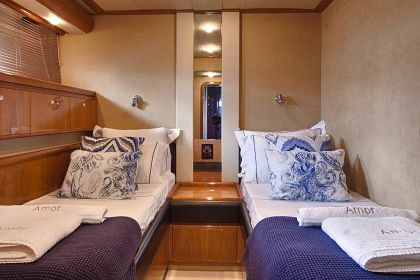 Amor is a motor yacht built by Ferretti, it offers a modern interior design and outstanding performance. 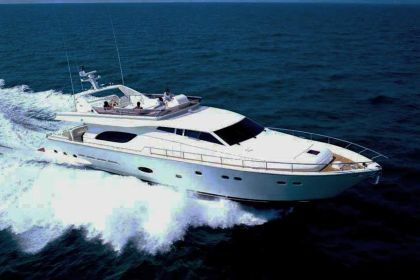 The very latest in Italian design and styling, with a cruising speed of 23 knots. 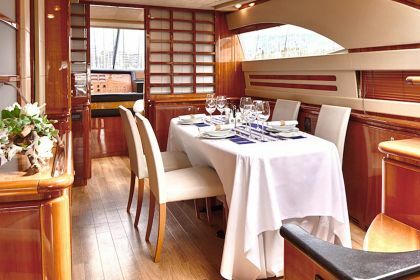 Finished in exquisite cherry wood, the interior gives a feeling of elegance and comfort. 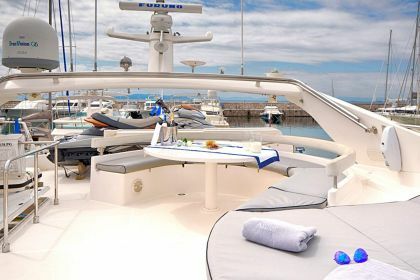 4 m tender Novurania with 60 HP, Jet ski SeaDoo RXP, 2 x Water skis, Stand up paddle-board, Banana, Donut, Canoe, Kneeboard, Fishing & Snorkeling equipment. 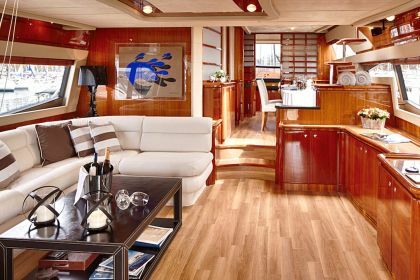 Salon TV/VCR, Salon Stereo, DVDs/Movies, Brand new Flat TV in Master, BBQ, VHF, GPS, Radar, Magnetic compass, WiFi connection onboard, Email.